At school, Hawreh Haddadi was an average American kid with a different name; at home, he was learning more about his Iranian culture. PORTLAND, Maine — Hawreh Haddadi was a toddler when his parents escaped the dangers of the middle east and moved to Maine. He grew up fully submerged in the culture and customs of America at school, while his parents did what they could to educate him on his Kurdish background. 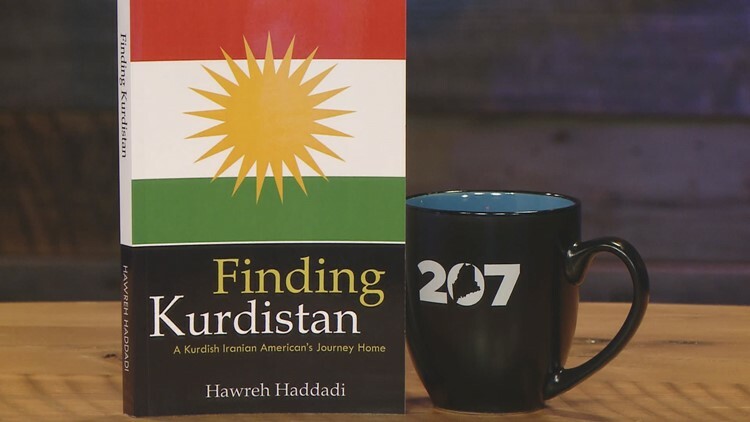 He calls a trip to Iran in 2010 to see family "eye-opening," and captures that in a book called "Finding Kurdistan: A Kurdish Iranian American's Journey Home." Haddadi writes that despite hearing stories from his immigrant parents about their world, he had no idea just how different it was until he was there. Terrifying moments happen during his visit, but so do incredible ones. From the food, to the family and friends, Haddadi says he hopes everyone who reads his book gains a better understand of who the people of Iran really are.